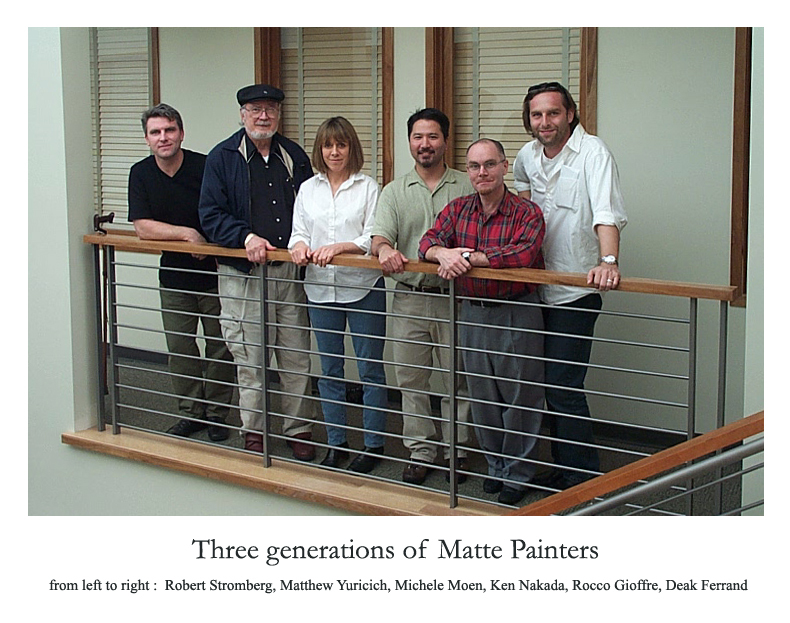 MATTHEW YURICICH (1923-2012) – Legendary and inspirational Matte Painter. Picture: Rob & Matt visited R!OT’s Matte Dept. Michele, Ken, Rocco, & Deak.